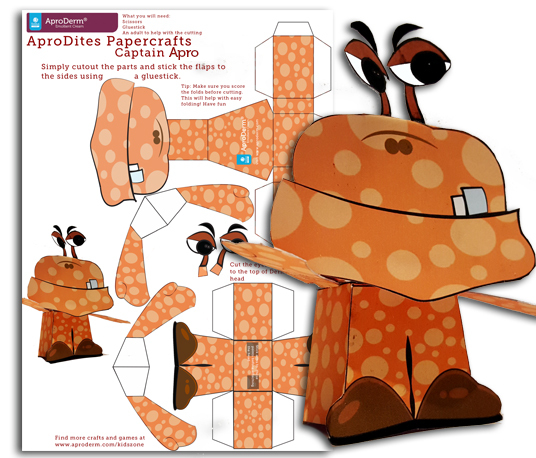 Bring the AproDites to life with our fantastic Papercrafts models. Each month we will be adding more of your favourite AproDites for you to make. 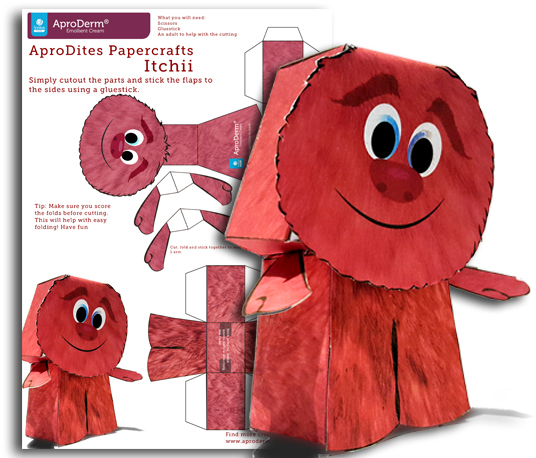 This month you can build your own Captain Apro and Itchii …..bring the adventure home. Each sheet contains a list of what you will need to make your AproDite along with simple step by step instructions on how to build your models. Please Note: Younger children will need the help of a grown up when cutting.